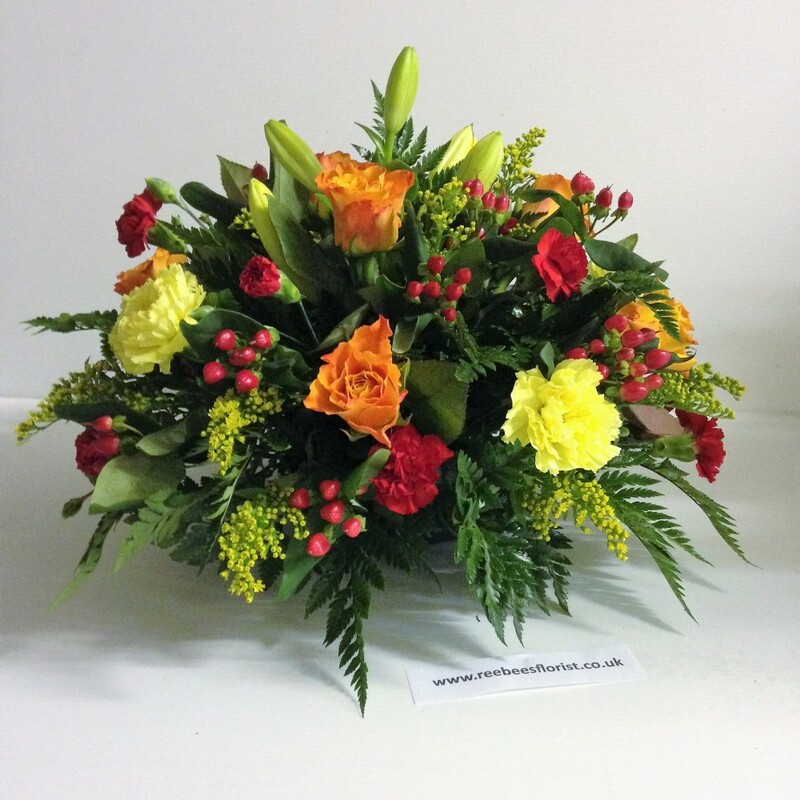 At Reebees we are delighted to present the beauiful Autumn Posy. This Posy is arranged with a selection of greenery,Roses, carnation, Hypericum and Solidaster. This is a beauitful gift which also make a fantastic table arrangement in any home.